Enjoy a golf holiday which is also just 5 minutes from Alicante city with its beaches, great shops, marina and lovely restaurants. El Plantio golf complex is just five minutes from Alicante airport but a world apart. Its location makes it a perfect place for a weekend golf holiday. 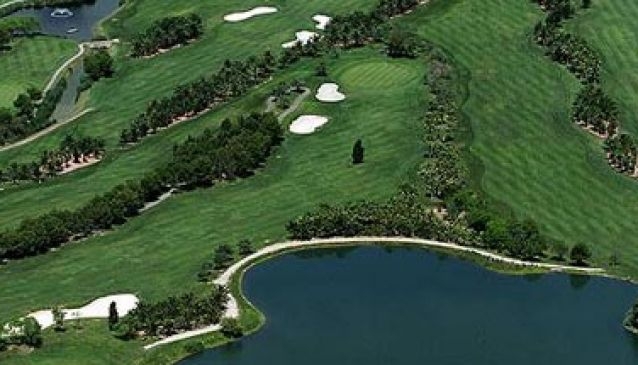 The course has been built to make the most of its natural setting, if not enhancing it. It is surrounded by trees which help to protect it from winds and create a microclimate. There is also a pretty waterfall on the seventh hole. Golfers can stay at the resort hotel or apartments, which also have restaurants and a swimming pool. There are 98 apartments has 98 units with two or three bedrooms, kitchen, bathroom, living room and terrace. The superior or luxury apartments have a swimming pool, restaurants, TV and minibar plus garage or parking. The hotel offers a transfer service to the airport and to Alicante city. The centre of Alicante is only five minutes away while the beaches are about 10 minutes. The city of Alicante has great restaurants, museums, art galleries, a theatre, beaches and shops.